After reviewing some of the latest & newest Smartphones like Nokia Lumia 1020, Nokia Lumia 920 and Apple i-Phone 5 here on StevenBergy.Com.Ng. Tonight, we will be reviewing a very hot and popular 7" Tablet which is trending in almost every country on the planet, I bring to you - The Google Nexus 7 Tablet. The Google Nexus 7 is a very thin, light and fast Android Tablet bringing a perfect mix of power, portability and also featuring the world’s sharpest 7” tablet screen - putting over 2.3 million pixels in the palm of your hand. With 323 pixels packed into every inch, you can read text that is sharper than the printed page, you can see images more vivid than the highest quality photo magazine, and watch videos in vibrant 1080p HD. Nexus 7 is made by ASUS and it features a quad-core Qualcomm Snapdragon™ S4 Pro processor and 2GB of RAM making it super fast. Also, its high-performance 3D graphics are smooth and dynamic with dual-band Wi-Fi and optional 4G LTE, including support for hundreds of networks worldwide. 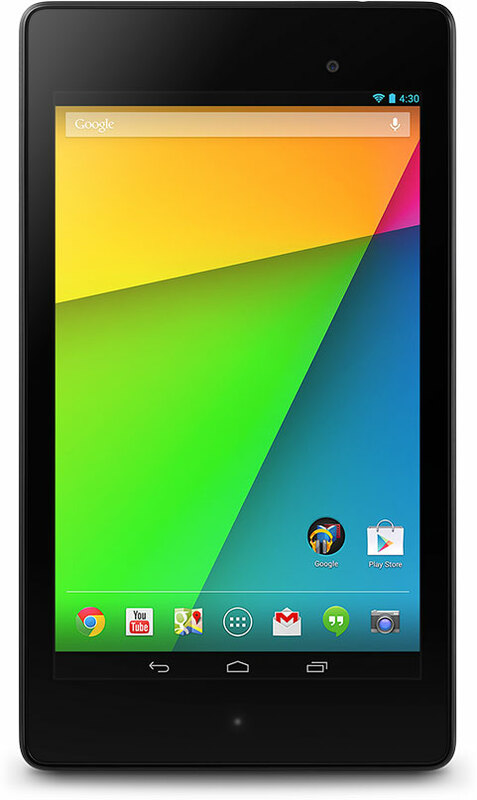 Also, Google Nexus 7 comes with the latest version of the world's most popular mobile operating system - Android JellyBean. Maybe that's another reason why this tablet is great for playing super games like Prince of Persia, Asphalt 8, Angry Birds and Riptide GP 2 because you can tilt, tap, and touch the screen anyhow you like. Here, The Play Games App mentioned in our recent post comes handy and useful letting you track your achievements, playing with (or against) friends and gamers around the world, and discovering new exciting games. NOTE: The Google Nexus 7 will be available ONLY in USA by July 30, 2013. 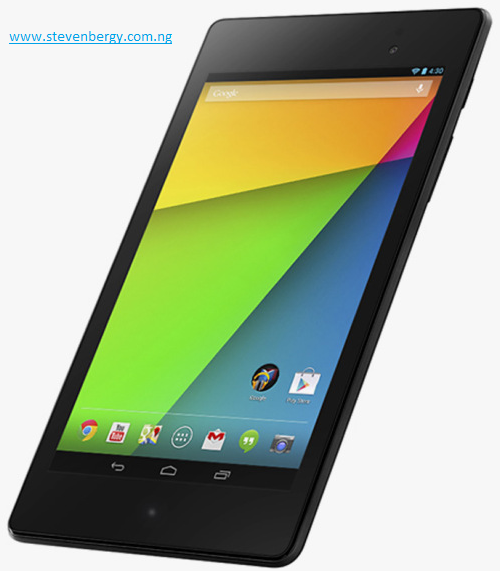 To know when the Google Nexus 7 will be available in Nigeria and other countries, Sign up here and Google will let you know as soon as the Nexus 7 is available in your country. Now, After seeing the Specifications of this powerful Tablet from Google, How much do you think this tablet would cost ? If you are thinking it should be between $250 - $400 then you are absolutely wrong because the Asus + Google Nexus 7" Tablet is just $229. What do you think about this Tablet ? Is it good enough for you or you prefer going for another Tablet, maybe iPad ? Lets hear from you, use the comment box provided below to drop your contributions, opinions and suggestions.